Experts assert that if food were a country, it would rank third behind China and the US as one of the biggest greenhouse gas polluters. The reason is the ever-rising demand for meat. 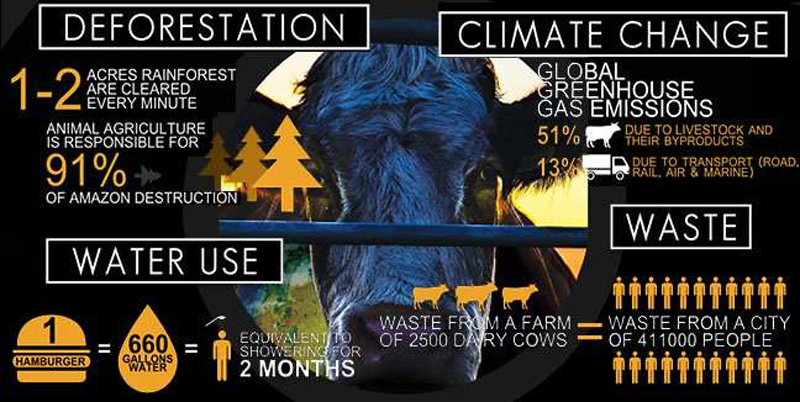 Livestock farming is responsible for 14.5 percent of global methane emissions. While cows are the worse offenders, pigs, sheep, and other animals contribute as well. 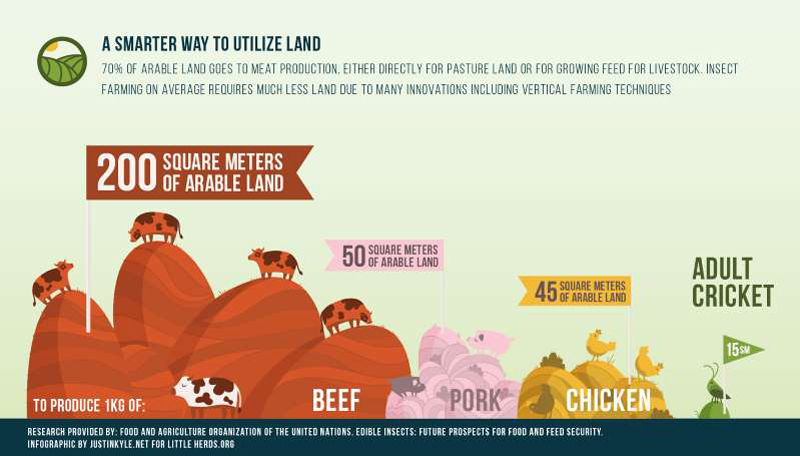 Animal husbandry also causes land and water degradation, biodiversity loss, and deforestation. With the world population forecast to rise to 9.8 billion by 2050, things are only looking worse for our already dwindling natural resources. While going vegetarian would undoubtedly help, meat consumption is too ingrained in most western diets to allow for such a drastic, permanent shift. That is why environmentalists are advocating substituting some of the beef, chicken, or pork with delectable bugs! Insects, which transition from larva to pupa to adult within a matter of months, if not weeks, are ready for consumption much faster than livestock. They also require much less room, use a fraction of the water and food needed for animal livestock, and produce far less greenhouse gas and ammonia. 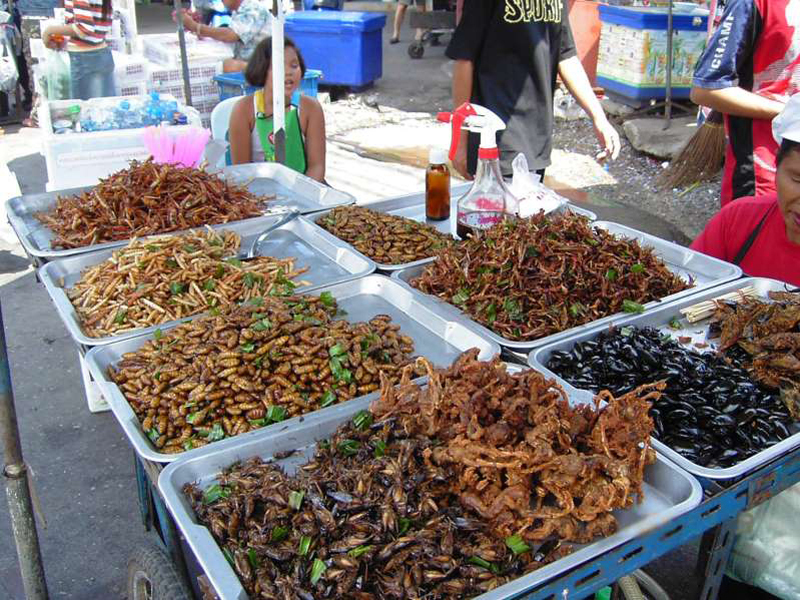 Of the 1.1 million insect species worldwide, scientists have identified 1,700 as edible. Among them are termites, ants, grasshoppers, crickets, grubs, and earthworms. Just like livestock, each insect has a distinct taste. Termites are tangy and minty, tree worms taste just like pork, and sago grubs are similar to bacon. 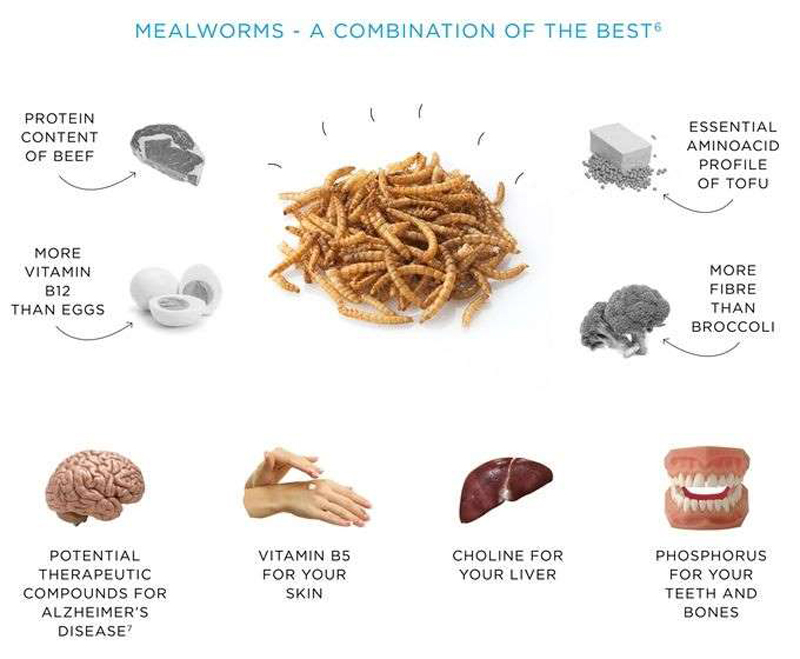 While eating bugs might be a new concept for Western Hemisphere residents, over 2 billion people worldwide​​​​​​ consume these critters as a regular part of their diet. Besides being delicious, bugs are high in protein, have very few calories, and are free of the saturated fat found in animal meat. Insects are also very versatile. Creative chefs can use them to whip up protein-rich soup stocks, make crunchy baked treats, and even stir-fry a few with their vegetables. Fortunately, those unable to stomach the thought of cracking open the crispy shell of a tarantula the way they would tear into a Dungeness crab have other choices. They can replace some of their regular protein sources by using cricket flour for baking or select one of the many readymade products, such as pasta and crackers, which incorporate the insect flour. So go ahead and kick trepidation to the curb - both your body and Mother Earth will thank you for it! Jobs: Wish To Save The World? Eat Bugs!